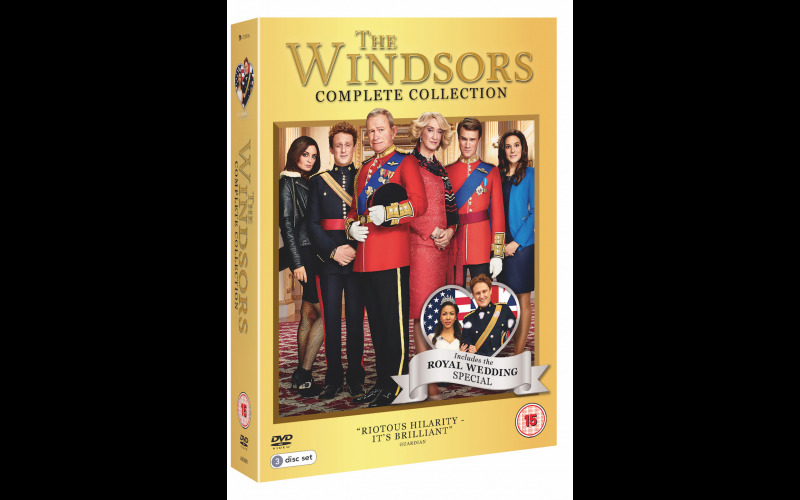 Get ready for a right royal riot as the hilarious comedy The Windsors Complete Collection makes its regal arrival on DVD and we have 20 Box sets to win thanks to Acorn Media International. The outrageous satirical comedy series from Channel 4 imagines the royal family as you’ve never seen them before and features an all-star comedy line-up including Harry Enfield as Prince Charles, Haydn Gwynne as Camilla, Morgana Robinson as Pippa, Hugh Skinner as William, Louise Ford as Kate and Richard Goulding as Harry, Kathryn Drysdale as Meghan Markle, with Katy Wix as Fergie. The Windsors Complete Collection includes the complete Series One and Two, The Windsors Christmas Special and The Windsors: Royal Wedding Special and is available from 6th August. The Windsors are divided: Prince Charles wants his son Will to show a more regal detachment but Wills wants to fly the air ambulance and mingle with the people. Kate is trying to find acceptance in the royal family, and Camilla alarmed at Wills and Kate’s popularity, is plotting to destroy them. Meanwhile, Harry is chasing Pippa Middleton’s famous arse, Prince Edward’s fallen on hard times, Fergie is partying like it’s 1982 and Beatrice and Eugenie, strapped for cash, decide to launch themselves online as make-up vloggers. In series two Prince Charles clashes with Theresa May and discovers he has a long-lost twin brother. Harry unveils his new girlfriend, the gaffe-prone Meghan and dabbles in the nightclub business, Wills becomes a hands-on Dad and Kate discovers she’s still married to a traveller. Meanwhile Donald Trump has an indecent proposal for Camilla and Pippa wants Harry to stop her wedding. The Windsors: Royal Wedding Special is a hilarious take on Prince Harry and Meghan Markle’s nuptials. Your regally riotous entertainment awaits.